The Japanese Nozomi 700 Shinkansen high speed “Bullet Train” can cruise at speeds of upto 300 km/hr. 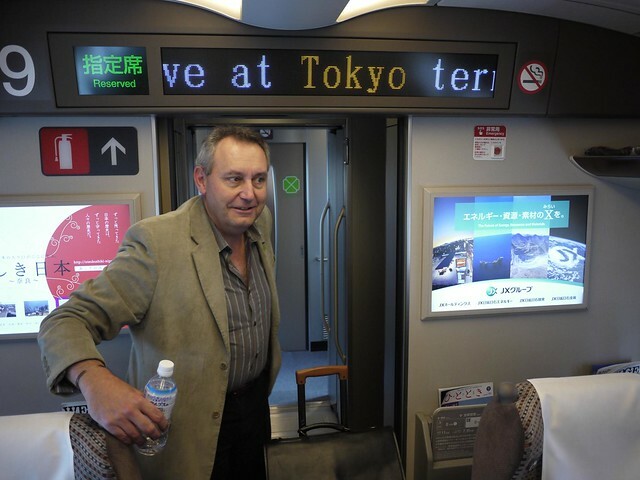 I was lucky enough to take a trip on the Nozomi 700 from Shin-Osaka to Tokyo in late 2011. Children are usually fascinated by trains of all kinds, whether they are fast or slow. However as people get older they lose their sense of wonder and tend to view trains as just a way to get from A to B, while grumbling about being 2 minutes late and the seats being dirty. 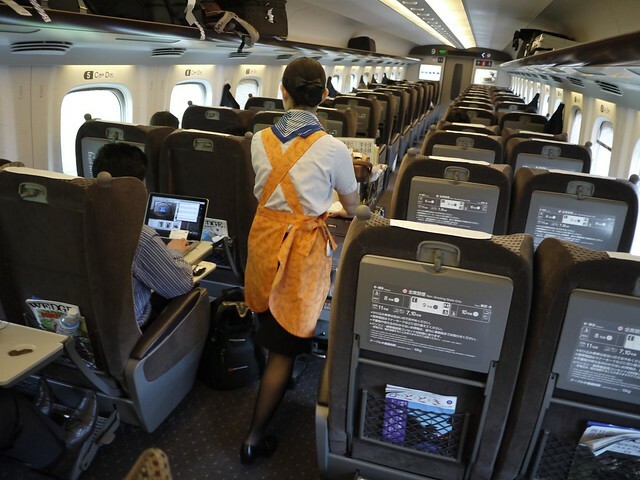 Travelling on the Japanese rail network addresses all of those issues: they are always on time (usually within a few seconds! ), spotlessly clean and offer peak speeds that mean it’s faster to travel inter-city by train then it is to fly. Nozomi is the fastest train service running on the Tōkaidō/Sanyō Shinkansen in Japan. 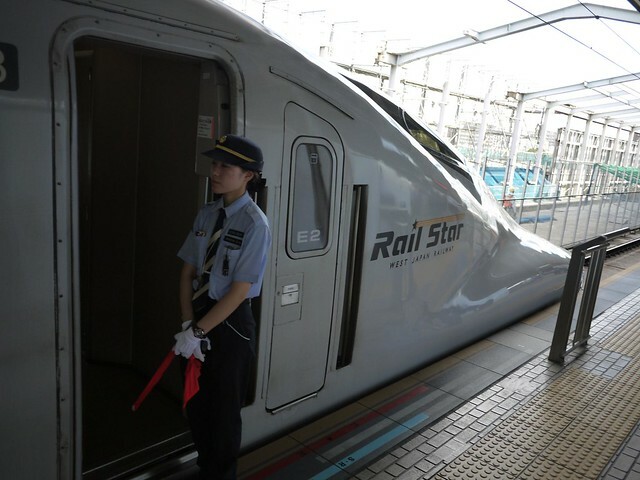 The service stops at only the largest stations, and along the stretch between Shin-Osaka and Hakata, Nozomi services using N700 series equipment reach speeds of 300 km/h (186 mph). 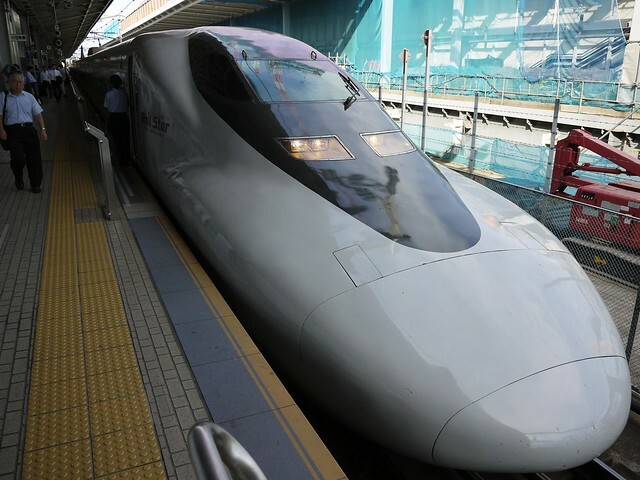 The trip between Tokyo and Osaka, a distance of 515 kilometres, takes 2 hours 26 minutes on the fastest Nozomi. The trains stop at fewer stations than the Hikari trains. 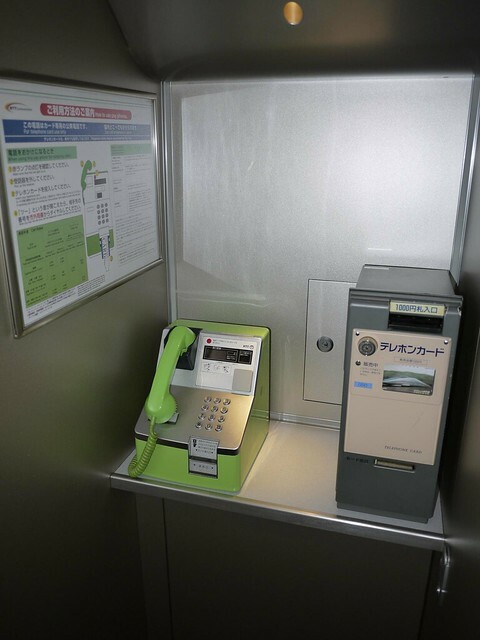 On the Tōkaidō Shinkansen, Nozomi trains stop at Tokyo Station, Shinagawa Station, Shin-Yokohama Station, Nagoya Station, Kyoto Station, and Shin-Ōsaka Station. On the Sanyō line, all Nozomi trains stop at Shin-Kobe Station, Okayama Station, Hiroshima Station, Kokura Station, and Hakata Station. Certain Nozomi trains stop at additional stations as well. 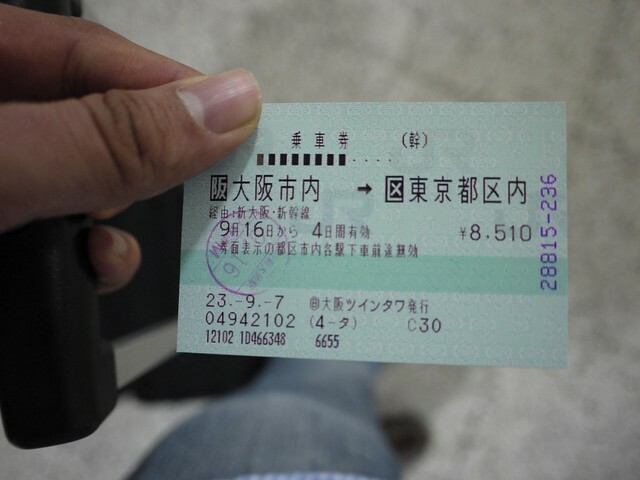 The Nozomi train service is not covered by the Japan Rail Pass. The word nozomi in Japanese means “hope” or “wish”. 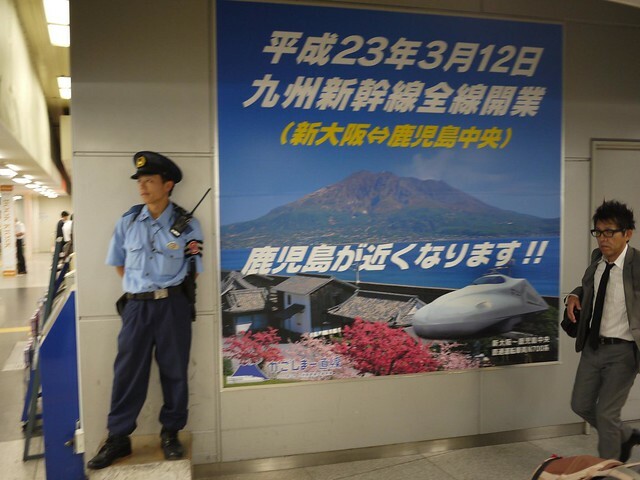 Note: I travelled on the Shinkansen as a guest of Panasonic. Wow. Just so cool. I’m going to check out every update. You can certainly see sweet pictures of the world anywhere, but never of the things that are so similar, and yet subtly different. Great.